1.1. Origin of the study- Corporate banking is the traditional strength of Hongkong Shanghai Bank, which is one of the largest banking and financial service organizations in the world. HSBC is determined to build long-term customer relationship to its corporate client. As a part of this HSBC is trying to expand their business with the market leaders of each sector of business. In this year HSBC has decided to invest 10% of their total limit in the pharmaceutical sector. HSBC has already established relationship with most of the market leaders of this industry. Advanced Chemical Industries (ACI) is one of the top performing company in pharmaceutical industry which is yet to be tapped by HSBC. As they have already established PCM (Payment & Cash Management) relationship with them now HSBC is trying to find out the possibilities for establishing corporate relationship with ACI. As a part of this, I m going to analyze different key criteria of ACI, with the help of Credit Approval and Risk Management (CARM). This project is a requirement for my internship program and assigned by Mr.Tahsin Ashraf, Senior Relationship Officer, Corporate banking, HSBC. Identify the steps of CARM. Analysis ACI’s financial trends over the last four years. Identify the key features of pharmaceutical industry. Analysis ACI’s position in the pharmaceutical industry. My research will help corporate banking of HSBC to decide whether they can give or extend any type of credit facility to ACI. It also helps them to identify the trend in pharmaceutical industry, its market structure, and regulatory environment, since ACI is one of the top players of that industry. I have collected primary information from employees, managers of ACI as well as HSBC. The internal data of ACI was given by the company itself. Time frame for the research was very limited. Industry analysis was written from individual’s perception and may vary from person to person. In many cases, up to date information is not published. I have to follow the steps of CARM, which were conducted by HSBC. This might cause some sort of restriction. The information regarding the competitors is difficult to get. 1.6.1. Introduction: The first chapter of this study includes introduction of the report, objectives of this report, the methodology of making this report, limitation of this report. 1.6.2. Organization overview: Chapter 2 of this report contains information about the very organization with which I worked i.e. The Hongkong & Shanghai Banking Corporation Limited. HSBC’s vision, mission, establishment, global operation, journey towards success in this country etc are the main focus. 1.6.3 Literature review: In this part I have tried to explain the terms I have used in my research paper with the help of different published sources. 1.6.5 Findings: In this part I have gathered all the findings of my research paper. 1.6.6 Conclusion: The study concludes with some recommendations in order to help HSBC to granting facilities. All the recommendations are made towards HSBC and as well as ACI. HSBC began operations in Hong Kong more than 130 years ago. The HSBC Group’s international network comprises some 7,000 offices in 80 countries and territories in Europe, the Asia-Pacific region, the Americas, the Middle East and Africa. Through a global network linked by advanced technology, including a rapidly growing e-commerce capability, HSBC provides a comprehensive range of financial services: personal, commercial, corporate, investment and private banking; trade services; cash management; treasury and capital markets services; insurance; consumer and business finance; pension and investment fund management; trustee services; and securities and custody services. Realizing the huge potential and growth in person banking industry in Bangladesh, HSBC extended it’s operation to the personal banking sector in Bangladesh and within a very short span of time it was able to build up a huge client base. Extending its operation further, HSBC opened a branch at Chittagong, two branch offices at Dhaka (Gulshan and Mothijheel) and an offshore banking unit on November’1998. Another branch has been opened at Dhanmondi on 1st of March, 2003. HSBC Bangladesh is under the strict of supervision of HSBC Asia Pacific Group, Hong Kong. The Chief Executive Officer of HSBC Bangladesh manages the whole banking operation of HSBC in Bangladesh. 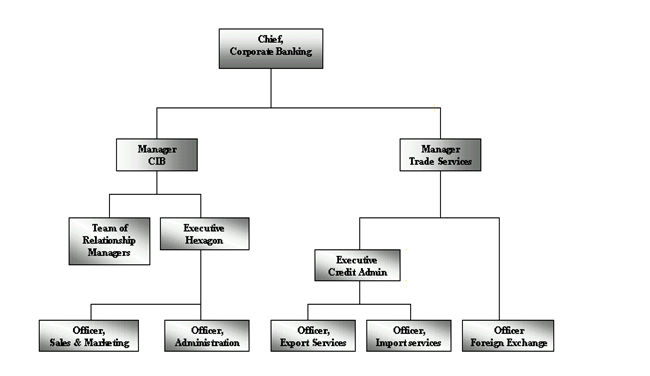 Under the CEO there are heads of departments who manage specific banking functions e.g. Personal banking, corporate banking, etc. Currently HSBC Bangladesh is providing a wide range of services both two individual and corporate level customers. In 2000 the bank launched a wide array of personal banking products designed for all kinds of (middle and higher middle income) individual customers. Some such products were Personal loans, car loans, etc. Recently the bank launched three of its personal banking products – Tax loan, Personal secured loan & Automated Tele Banking (ATB) service. These products are designed to meet the diverse customer needs more completely. HSBC in Bangladesh also specializes in self-service banking through providing 24-hour ATM services. Recently it opened two new ATM’s at Shantinagar & Banani to better satisfy those geographic segments. In total the branch currently has 9 ATM’s (5 on-site & 4 offsite) located at various geographical areas of Dhaka & Chittagong. This division if HSBC provides financial services to organizational clients. HSBC is a worldwide leader in banking and financial services whose success is based on its relationships with its corporate clients. Whether it is locally or around the world, HSBC offers a comprehensive range of services that can be tailored to the individual needs of the company. The Head of this department is the Chief of Corporate Banking. He is also the Vice-CEO of HSBC Bangladesh. The chief of CB manages the activities of corporate banking of HSBC Bangladesh. Two offices of HSBC Bangladesh offer corporate banking services to corporate clients. These are the Dhaka Head Office and Chittagong office. Corporate Banking of HSBC Bangladesh includes Corporate Institutional Banking (CIB) Trade Service (HTV), and Hexagon. These sub-divisions are discussed briefly in the following sections along with a structure chart of Corporate Banking division of HSBC Bangladesh. The RM (Relationship Management) department consists of various relationship managers who are assigned to different corporate client to better satisfy their needs. These RM’s communicate with the clients and are solely responsible for the companies they deal in. Any information regarding a corporate client must be communicated through the respective RM assigned to that corporate client. A relationship manager may be assigned more than one company and this decision depends on the chief of Corporate Banking. Trade service is known by various names in other banks, e.g. Trade Finance Foreign Exchange, Foreign Trade etc. However, the functions are the same. As the name suggests, this department is involved in facilitating trade, both international & within Bangladesh. HSBC is the leading provider of trade finance and related services to importers and exporters in Asia. Trade is considered a core business of the group. The group’s presence in 81 countries of the world gives a good opportunity to control both ends of a trade transaction and keep the business within the Group. The various awards it has won from the leading publications of the world acknowledge HSBC’s excellence in trade. The trade service department has two separate subsidiaries: Credit Administration & Foreign Exchange Division. 3.1 CARM: CARM is the HSBC groups Credit Approval & Risk Management system. It is the process that the group uses to prepare credit applications for existing & potential corporate customers and to actively manage HSBC’ s relationships with those customers. It is used in branches & offices where credit applications are prepared and approved and where relationships with business customers are managed. 3.2 GATT: General Agreement on Tariffs and Trade, which was signed by over 120 countries several years ago. GATT, intended to improve the world economy by rationalizing trade and other economic rules, requires all countries to change their laws when necessary to meet a whole list of conditions, all of which are mandatory. GATT created the World Trade Organization (WTO), headquartered in Geneva, to resolve enforcement disputes–and basically established a regime such that any country in the world which chooses to run its own affairs differently can face ruinous economic warfare by WTO members. 3.3 Oligopolistic: A market structure dominated by a small number of large firms, selling either identical or differentiated products. This is one of four basic market structures. The other three are perfect competition, monopoly, and monopolistic competition. 3.4 Porter’s model: A general model of the environment in which companies operate that suggests what factor strategists should monitor. In his book, Porter identified five competitive forces that shape every single industry and market. These forces help us to analyze everything from the intensity of competition to the profitability and attractiveness of an industry. 3.5 SWOT analysis: SWOT stands for Strengths Weaknesses Opportunities Threats. It analyzes companies, their performance and outlook. Strength: A firm’s strengths are its resources and capabilities that can be used as a basis for developing a competitive advantage. Weakness: The absence of certain strengths may be viewed as a weakness. Opportunity: The external environmental analysis may reveal certain new opportunities for profit and growth. Threats: Changes in the external environmental also may present threats to the firm. CARM (Credit Approval & Risk Management system) has been introduced to the HSBC Group to serve as a key tool for the management of customer relationships (including certain tools for optimization of business development), storage of customer data and records, preparation and processing of Credit Applications, and analysis of financial statements. CARM provides the capacity to create and maintain a predominantly file for customers. It is used for potential customer as well as existing customer. For existing customer CARM need to be review in every year. A customer record must exist on CARM before give any types of facilities to that customer. When a company is being a targeted for business, the RM (Relationship Managers) need to prepares a CARM, which contains different key information about that customer. After preparing a CARM, it has to be submitted to the CRM (Credit Risk Management) for further processing. Then the CRM decides what type of resources/facilities can fit to that company. After that they submits a proposal to the company and RM’s negotiates with the company. The proposal also need to be submitted to the Credit Admin manager, with his approval credit approval process comes to an end. ¨ Facilitate the CRM (Credit risk management) in taking decision regarding credit approval. ¨ CARM helps to know the integrity & reliability of the borrower. ¨ Bank can get a clear idea about customer financial position. ¨ Provides increased standardization of Credit Applications. ¨ Potential for increased profitability. 4.3.1 Borrower analysis: Provide a brief description of the borrower’s business, including date of formation, brief history and quality of management. 4.3.2 Industry Analysis: Provide an idea about the industry the company competes in, the key suppliers, buyers and competitors of the industry. 4.3.3 Financial statement analysis: From this analysis bank can get an idea about what a company owns and what it owes. It also gives an idea about the profit of the company and different key financial trends of that company. 4.3.4 Comparison with the competitors: It compares the company with its competitors who are battling for position. It mainly gives an idea about where the company stands in. As I am doing my analysis under CARM I have followed the same steps for Advanced Chemical Ltd. First I tried to introduce the company with the help of borrower analysis. In the second part, I have done pharmaceutical industry analysis with Porter five forces. Then I analysis the financial trend of the company and try to find out the reason behind those changes. In the last part I compare ACI with the other pharmaceutical company in the industry. 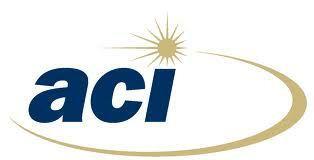 ACI Limited (ACIL) was created in early 1990’s from the buy out of CIB – ICI’s business in Bangladesh. ICI operated in Bangladesh from 1960s to 1990. In Bangladesh ACIL is now producing and distributing different types of drugs, toiletries, chemicals and hybrid seeds. Through diversified products ACIL has dramatically extended their business after 1993. It has also become a public listed company in 1993. Pharmaceutical is not the largest division of ACIL but it is their core business. Consumer division is the largest one but it is their diversified business. ACIL is mainly focusing on producing generic medicines and they have the plan to modernize their pharmaceutical division. ACI has 6 main divisions: Pharmaceuticals (39% of sales), Consumer Brand (40%) and the Crop Care & Public Health (12%). Other operations include the high potential Animal Health sector (6%), Seeds (2%) and Diagnostics & Medical Devices (1%). Mr. M Anis Ud Dowla, the Chairman & Managing Director of ACI Limited, is one of the most successful personalities in Bangladesh business circle. He has maintained a high profile, and has provided leadership to business community in different capacities. In 1987, he became the Group Managing Director of the three ICI companies in Bangladesh. Mr. Dowla has continued to maintain the multinational culture and management style in ACI, with especial emphasis on quality, productivity and customer services. There are 10 Managers of different levels, who are performing different task. ACI has over 1,157 permanent employees out of which 543 are engaged in sales and customer services. The pool of human resources of the company is developed to their full potential through regular training and their participation in seeking continuous improvement of work methods. Strong positioning of consumer brand items. Industry risk minimized through diversified operations. ACI is been operating for the last 10 years as the producer of quality products in the pharmaceutical industry. ACI is exposed to significant foreign exchange risk as cash flow is in BDT and no hedging instruments are available right now in our country. Imported raw materials disrupt production because of port strike, political instability etc. Future export potential for medicine/raw material from Bangladesh is enormous after implementation of free global trade. Bangladesh is exposed to different types of natural disasters. Because of the yearly floods, the pharmaceutical companies get vast opportunities to sell goods related to providing remedies for diseases related to these disasters. The uncertainty of raw material supply and raw material prices might become a threat for ACI. Since the raw materials are imported, there is always an element of uncertainty that is attached to this transaction. The government regulates the pharmaceutical sector, so new firms might feel encouraged to enter since they know they will not have to face foreign competition. This policy encourages new entrants. May end up diversified in too many businesses and lose focus on core business. Industry analysis with the help of Porter model. The pharmaceutical industry has been the key contributor over the last few years. In the recent years pharmaceutical industry creates a great success in the export market it is the second revenue contributor to the country’s economy with the market size of their product worth around 250,000 core (Source: The Independent, July). Before the liberation, there are very few pharmaceutical companies in this region. But during early and mid eighties several company lunched their operation with joint venture of technical collaboration with well known companies of Europe such as Bayer, Pfizer, Ciba-geigy, Glaxo, Hoechst, BASF and SK&F. At that time eight multinational companies dominated the market. But now the scenario has changed. Currently among the top 20 companies only 7 are multinational. Local companies can meet 96% of our local demand. So Bangladesh is self sufficient in terms of pharmaceutical industry. 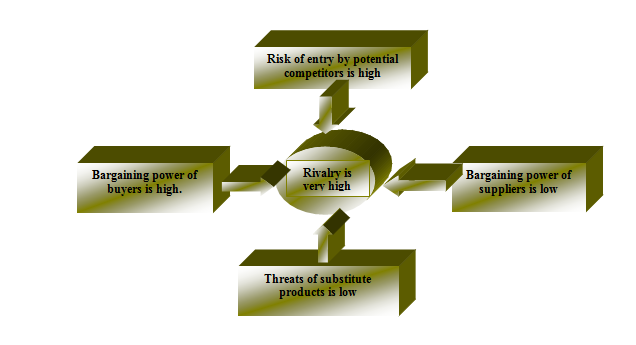 Following analysis portrays basic features of pharmaceutical industry (growth & trends) as well as the five factors of Porter’s models of industry competition. It also presents the scenario of government regulation in pharmaceutical industry. Patent medicines are the product that are invented by the company, who have their own R&D department. Generic medicines are the products that are marketed by several companies under different brand name. The formulation of this product is almost same. Bangladesh mainly concentrate on this category. The growth potential of pharmaceutical industry is enormous. As urban population is increasing and people are getting educated, they are now more concerned about healthcare. So the demands of medical products are rising. In Bangladesh unhygienic conditions and poor health maintenance plans provide vast scope for the pharmaceutical firms to sell their products. On the other hand, the constant natural disasters provide opportunities to pharmaceutical companies to boost its sales. The industry is growing the protection of national Drug Policy 1982. But after the GATT regulation, changes are bound to take place. Furthermore, the trend & growth of this industry tends to be positive as the demand of medicines is rising, which have mentioned earlier. Pharmaceutical industry is one of the dynamic industries in Bangladesh. It plays vital role in our economy. Presently, 96% of our local demand of medicine are met by local production and the remaining 3% are met by imported medicines. . The “Directorate of Drug Administration ” under the ministry of Heath & Family welfare, Govt. of Bangladesh supervises and implements all prevailing drug regulations. It is the only designated authority, which can give license for producing drugs. In Bangladesh all matters related to drugs are controlled by Drug Act 1982. There are some rules & regulation that must be followed by at any time. In the following I am discussing the major government policies, which has great impact on the pharmaceutical industry. Under the national drug policy 1982, the price of 117 drug categories has been fixed based on price of raw materials. So now companies are enjoying less profit margin. But self-pricing with prior approval for certain medicine is allowed. Under the government regulation pharmaceutical companies does not have the right to import raw material, which are available locally. But as the local sector is not adequate this industry is heavily depend upon imported raw materials. The law prohibits MNC’s to produce certain medicine (Antacids, Paraceutamol and certain Antibiotics). This law is totally protecting local manufacturers and they are fully satisfied with the law. Doha declaration has extended the time frame for least developed country upto 2016 instead of 2006 on Trade Related Intellectual Property Right (TRIP). It gives the right to the member country of WTO to override the patent law. This right encourages the access of medicine for all. With the help of this law less developed country like Bangladesh is taking advantages by appropriate government support. The TRIM’s Agreement stands for Agreement on Trade Related Investment Measures. Bangladesh has to essentially implement it from 1 January, 2006. As a signatory to GATT, Bangladesh has to deregulate the sector by 2006. As per this Agreement, Bangladesh cannot show any types of discrimination to member countries of the WTO and also cannot protect the domestic industry by imposing restriction on import. As mentioned earlier, the government regulates this industry, so firms might feel encouraged to enter in this industry. Due to government policy they know they will not have to face foreign competitors. The capital requirement for establishment of a pharmaceutical company is not so high as local companies don’t need to establish R&D department. But the machinery, which a pharmaceutical company needs, can only be used for the production of pharmaceutical products. This actually acts as a deterrent to entry into the industry. The main threats of substitute comes from ayurvedic and homeopathic. In rural areas these are very popular. But there are no direct threats to pharmaceutical industry as these herbal medicines are not sufficient for some serious diseases. Serous diseases need to be treated with pharmaceutical goods. Most of the raw materials are imported from abroad and according to ACI, there is more than adequate supplier in the market. A few of the local companies produce their own raw materials, but for most parts, the supplies are imported. As suppliers are huge in number they do not have that much control over the pharmaceutical companies. Because of the large number of suppliers, pharmaceutical companies can change their power of suppliers at any time they feel necessary. But there is some problem. The firms have to hedge against foreign currency fluctuation, raw material price fluctuation. The suppliers can able to extent lot of influence over the purchaser if they integrated themselves. The main customers for the pharmaceutical goods are the doctors. They inform the patient about which medicine to use. They inform the patient about which medicine to use. As a result their bargaining power is very high. If they are not motivated through any sales promotion or other means, they may just switch between companies because they do not have any switching cost and they have abundance of pharmaceutical companies to choose from for future reference. The competitors in this industry are fighting strongly to maintain their market share. There are a large number of players in the industry, but only the top few firms control most of the market share. The remaining compete against themselves for the rest of the market. The firms all want to establish themselves before the GATT deregulatory. Some of the large firms are trying to attain very high levels of growth, so competition is intense among its rivals. Ratios add another dimension to the analytical process because they allow the lender to readily examine the relationship between two or more items on the financial statements. Ratio can be used to examine the profitability performance, how quickly inventory is sold, how efficiently assets are used and numerous other questions can be explored through the calculation and interpretation of ratios. What ratios are used and how they are placed in categories vary from bank to bank. According to HSBC the following sections present a general guide to key business ratios. Liquidity indicates a company’s ability to meet current obligations and sustain its operations by using cash or converting current assets to cash. That ability depends on the cash resources available on the balance sheet and the cash to be generated through the operating cycle of the firm. There is no steadfast rule for determining an acceptable level of liquidity for a business. But as a conventional rule current ratio of 2:1 or more is considered satisfactory. HSBC prefers minimum 1:1 while financing working capital. In the last four years ACI has consistent with HSBC’s requirement. But CR is decreased from 1.40 to 1.25 due to increase in trade creditors and short-term loan. By looking to the last financial statement I have found that, short term loan & bank draft has increased by almost 50% and trade finance has increased by 60%. This is mainly due to the investment in Tetley ACI (BD) and increase investment in apex Leathercraft. In the graph it is clearly visible that CR is suffering with a downward trend for last couple of year. Comparing the current liability with the current asset, It is seen that the stocks have also increased by 25% in the year 2002. By analyzing the break up of inventories it is found that finished good has increased by 26% which has caused the quick ratio to decline. From my analysis I have found out that although ACI’s current ratio is complied with HSBC ‘s requirement but their quick ratio is indicating that most of their current asset is consisting of inventories. During 2002, 55% of their current asset were inventories. Profitability ratios evaluate, in the largest sense, a business’s ability to realize its objectives. The bottom line of measure this ratio is to record in making profit of a company. In the following ratios show the profitability & performance of ACI over the last few years. From the following chart it is seen that the cost of good sold was high in the year 2001 due to this the GPM was low. But in the year 2002 as the COGS has decreased ACI has improved its GPM by 10%. From the above graph it is seen that, ACI’s NPM has increased over the last two years. This is mainly caused by non-operational income, mainly dividend received and agency commission. Increased focused on publicity and advertisement was the main reason for the rise in selling and distribution cost in 2002. In the year 2001 selling and distribution cost was 16% of total sales. But in 2002 it has increased to 19%, which has hampered operating profit to sales. ROA measures the profitability of a business in relation to its efficiency in using its assets. As ACI has increased its asset by 117% during 2002, ROA has substantially declined. But otherwise, for the last couple of years ACI is ROA maintaing a quite stable rate. So they are utilizing their asset effectively and getting good return. From the graph, it is seen that ROE has an increasing trend over the last few years. This is mainly due to the increase amount of debt financing in Tetley ACI (BD) and Apex Letahercraft Ltd. During 1999 ROE was 11.45% and but in 2002 it was 18.49%. So, ACI has invested huge amount of external finance in their business. On the other hand, the equity holders are now enjoying good returned for their investment. This group of ratios measures management ability to efficiently use its company’s asset. From the following ratios HSBC can get an idea about the effectiveness of working capital management of ACI. By analyzing the net working asset to total tangible asset it can be seen that, during 2001 and 2002 it has declined significantly. Analysis shows that in 2001 net working asset has decreased due to huge increased in Trade creditors (107%). In 2002 ACI has increased its net working asset (by 26%) but tangible assets has also increased by (27%). Due to this net working asset to tangible asset in the year 2002 didn’t change that much. Trade debtor collection period gives the average number of days it takes for a company to collect on credit sales made to its customer. Analysis shows that trade debtor has an increasing trend over the last few years In 2002 trade debtors has increased by 66% than the previous year. From this it can be said that ACI is maintaining a flexible credit policy for competitive advantage over its competitors. Inventory turnover period measures the average length of time for inventory to be sold. From the above chart it is observed that ACI’s inventory turnover period has declined significantly. Analysis shows that in 2001 ACI has increased its sales by 16% without increasing inventory. This shows an efficient management of inventory. From the char it is observed that creditors payment period jump from 16 days to 23 days, it exhibits ACI is enjoying increasing supplier’s credit for its market reputation. Despite strong distribution and collection effort of ACI, debtor collection period increased by 5 days in the year 2002. Capital Structure & financial risk ratios measures the degree shouldered by a business’s owners versus its creditors. The higher the proportion of borrowed funds to owner contributed funds, the greater the risk to lenders. ACI’s debt equity ratio has an increasing trend over the years. In earlier, ACL has used less short-term loans and external finance. But in 2002 ACI has increased its short-term loan by 50% and trade finance by 60%. From the pie chart it is seen that ACI has increased its external funding over the last two years. In the year 2000 ACI has managed to decline its External finance. But in the year 2001 & 2002, as ACI has involved in different trade financing, its external funding has increased. Analysis shows that the over the year ACI is remained leveraged and if it continues its business in this manner, then the margin of safety from the creditor point of view will decline. As mentioned earlier, the competition in pharmaceutical industry is quite fierce. All the top market players are competing for their market share. ACI is one the top players with 3.8% market share. In this first part of this analysis I have analyzed ACI’s position in terms of market share & growth rate and in the second part I have analyzed ACI’s financial position compared to it’s major competitors in the industry during 2002. ACI is amongst the top 10 local pharmaceutical manufacturers with 3.8% market share in 2002 as per a report from IMS (International Market Survey, Switzerland who frequently surveys the local market for the industry). The turnover of local pharmaceutical industry is BDT 24.58 during 2002. ACI is one of those companies who are producing pharmaceutical products in large scales. There is a positive change in pharmaceutical industry due to the growing development of per capital income & growing population. As a result of this the competition amongst the companies has also increased. The top 10 companies control 67% of the market 81% of the market is controlled by the top 20 company. Turnover is exclusive of VAT, sales commission/discounts and therefore, lower by 15-20% than the reported figures in the firms’ financial statements. From the chat it is visible that ACIL, Eskayef and Incepta were enjoying the highest growth rate during 2002. ACIL achieved the second highest sales growth due to their focus on area specific pharmaceutical operations and introducing new range of products. From the chart it is clearly viewed that Square & Beximco having the highest market share followed by Aventis, Acme & Opsonin. ACI is in the 8th position in terms of their market share. From the IMS report it can be said that Glaxo, Renata, Novartis, SKF are the major competitors of ACI. Glaxo & SKF are enjoying high current ratios in 2002. In the earlier sectioned I have mentioned that ACI ‘s CR has decreased due to their increased in short term loan & trade creditors. According to ACI, the Multinationals are enjoying high CR due to their huge inventory & low liabilities. They can effort to maintain a huge inventory due to their strong brand name & superior product quality. It can be find out by analyzing Glaxo’s balance sheet. 81% of its current asset constitute of inventory. On the other hand ACI’s inventory is 54% of its current asset in the year 2002. I have mentioned earlier that, pharmaceutical industry is a profitable sector. From the graph I have found out that all the competitors has maintained an average GPM of 30%. But Renata was able to keep its GPM at 41.6% due to established brand name and good product quality. If ACI wants to achieve higher GPM they need to concentrate to decrease their COGS. huge amount of external finance in their business. As their gross profit & sale is quite stable, the shareholders are finding the company more worthy. ACI ‘s debt/equity ratio is well above than its other competitors. Analyzing the graph I have found that ACI is hugely dependent on external loan. 32.46% of their asset came from external financing in the year 02. Whereas, Renata’s external funding to assets is only 20% and Glaxo’s is 0%. So for the long run, ACI need to decrease its dependency on debt. ACI’s trade debtor collection policy is relatively high compare to its other competitors. This is mainly indicating ACI’s flexible credit policy. On the other hand, Glaxo’s trade debtor collection period is very low at 4 days because most of their sales are on cash basis. So here ACI is having a competitive advantage over its competitors. HSBC has decided to invest 10% of their total limit in the pharmaceutical industry during 2004. Last year they had invested only 5% of their total facilities. But this year, as pharmaceutical industry’s growth rate has increased and looking good, they are investing more. Despite of 225 players, pharmaceutical industry is oligopolistic in nature. As mentioned earlier the top 10 company control 67% of the market. From the IMS report it is clearly observed that Square, Beximco Pharma and Aventis are the top 3 dominants with a 32.9% market share altogether. Among these 10 dominants, Aventis, Glaxo Wellcome and Eskayef are the Multinational Companies (MNCs). Local entrepreneurs own the rest. ACI has captured 8th position in the industry with a turnover of BDT 962 Million & market share of 3.8% during Dec02. From my analysis I have found that ACI’s dependency on external loan has increased over the years, which shared a major role in the capital structuring of the company. From my analysis I have found out that as ACI is expanding their business, their long term & short term debt is also increasing. It is obvious that being a growing company, ACI needs different types of external financial assistance. Stock turnover in pharmaceutical industry is quite high due to imported raw materials. All the firms are having large stocks because of port congestion, strikes. In future, R&D will play a critical role in formulating new drugs. After 2016 local firms will unable to override the patent law. So ACI, will has to be R&D focussed if they wish to compete in the global market. ACI has maintained a flexible credit policy to gain competitive advantages over its competitors. Trade debtor collection period of ACI is around 20 days. Which is quite high compared to its other competitors. ACI has maintained a good reputation in the market over a long period. But as they are diversifying their business, it may be possible that they will loss their focus on core business. This may put up a question mark on their long-term sustainability. Over the last few years ACI has diversified their business but not with the internal sources of fund. Most of those are contributed by external funds. As ACI is in progressing period, so it is understandable that they need some external sources to finance in different projects. At the same time they maintained a good reputation in the industry and never damage the confidence of the investors. Over the last four-year they have been regularly paying the dividend. Their gross profit margin & net profit margin is also acceptable compare to its other competitors. So, from HSBC’s point of view, investing ACI would not be a bad venture. Because the company will need external financial assistance for their further expansion. From my observation I have found that, ACI is not satisfied with their current bankers SCB (due to take over issue of Grindlays by SCB, affecting the overall services). On the other hand, as Amex has laid off their corporate function in Bangladesh and Credit Agricole Indosuez (CAI) has taken over by Bank of Ceylon, it is a huge opportunity for HSBC to become their main banker. So my recommendation for HSBC is to build long-term corporate relationship with ACI, which will create immense opportunity for them. But as the company is investing on different new project, HSBC has to closely anticipate the soundness of those projects.